Disappointed with the current results that his beloved team, As Roma, have been having lately, the capital club’s current president, Rosella Sensi, ordered her players and staffs to cut out making statements to the press. Sensi seems upset hearing the latest news in the media that are fueled with disputes between Roma’s coach, Claudio Ranieri, and some of his players, notably Francesco Totti and Marco Borriello. Moreover, the female businessman also hoped that instead of talking to the press, the team should give more action in the training ground and also on the field especially since they have been getting poor results in this early part of the season. Although she has ordered a silence policy to the media, Sensi will still allow Roma players and coach to speak during the team’s upcoming match against Genoa on October 16, right after the current International break. Sensi also revealed that the current disputes in the media between some of Roma’s players with their coach, Ranieri, is not a good thing for the club as it could make things even worse for the capital club. Aside from that, the president also didn’t like reading in the press how Totti feels like he has been causing problems for the team and considering of quiting the club because of that. Surely this decision is a common thing being done by clubs in Italy when they feel they are in some sort of problems with the current publication that being considered as a threat for the team’s stability. The positive effect of this kind of policy is it would reduce the tension inside Roma’s dressing room as there are not statements from inside the Giallorossi’s camp that could disturb the team’s harmony, although they might still need to face speculative articles about the club’s current condition. However, Sensi does has a point in her statement especially stating that it’s more important for the players to keep on working and focusing more in getting positive results rather than making unnecessary comments to the media. 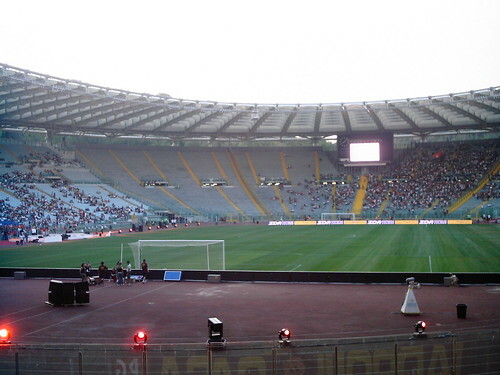 Although, this silence might left the fans curious about the team’s latest news as without new statements from inside the Roma’s camp, the tifosi surely won’t know the current condition of their beloved team.